Dior takes you into Versailles' Hall of Mirrors. In grand style. Home / Celebrities / Dior takes you right into Versailles’ Hall of Mirrors. In grand style. Dior takes you right into Versailles’ Hall of Mirrors. In grand style. 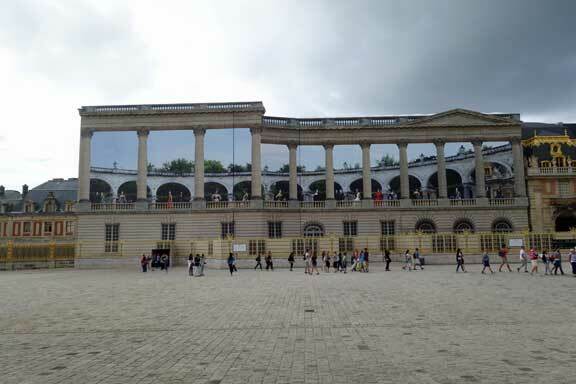 The last thing I expected to see at Versailles, while visiting a few days back, was a bevy of Dior-clad ladies casually leaning against the front façade. But then, the House of Dior and Château de Versailles are no strangers to each other. Both are French, both have a gilded history, both are underlined by some of the most skilled craftsmen of their eras, and both speak of grace, of nobility, of being at the forefront of all that’s chic and stylish. Then there is Monsieur Christian Dior’s own personal history with the glittering palace: seeking to restore some of France’s glory after the dark years of war, Christian Dior found in Versailles a major reference and a source of inspiration for his work. His most emblematic designs had names like Trianon and Versailles, or were photographed by top photographers within the château. This influence still lives on in Dior, with Raf Simon’s latest haute couture collection presenting a modern take on Marie Antoinette. So, it should comes as no surprise that the two French majors have once again joined hands. Marie Antoinette’s private getaway on the grounds of Versailles – the rustic Hameau de la Reine (it’s GORGEOUS and there’s more coming up on that in a few days!) – has finally received a much-needed restoration, thanks to funding from the House of Dior. And now, during ongoing renovations at the Pavillon Dufour, a mammoth trompe-l’œil work by Pierre Delavie will obscure the construction site. It shows photographs of Dior’s past and contemporary designs in a setting of stone and greenery, like a window of the Royal Court looking onto the gardens. What does that mean for all of us who are neither the Sun King nor Marie Antoinette? First, we won’t have our gorgeous photos of Versailles’ magnificent entrance marred by ugly scaffoldings and other construction paraphernalia. 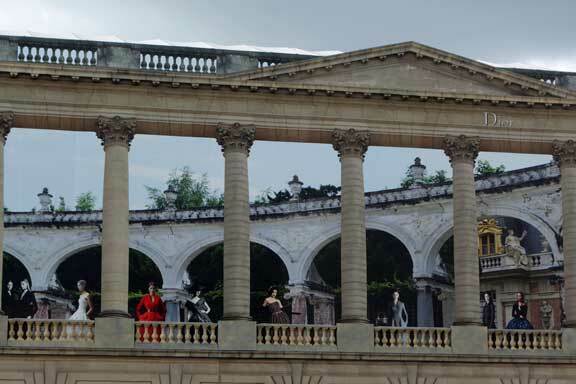 Secondly, there is another beautiful Dior video on the way, shot within Versailles. This time it’s for J’Adore and if the glittering Hall of Mirrors can’t make you reach out for a bottle of the sensually floral perfume, your willpower is definitely much stronger than mine! The film releases on September 3rd but here’s a trailer… like it?